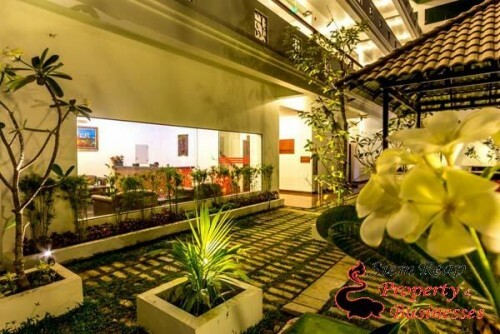 A family-style boutique hotel with swimming pool and lush tropical garden for sale. 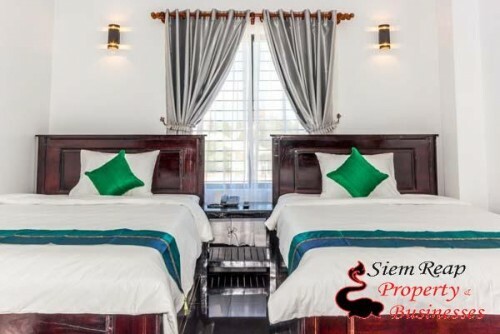 Located in the heart of Siem Reap; about 5 minutes walk to the Siem Reap city center. 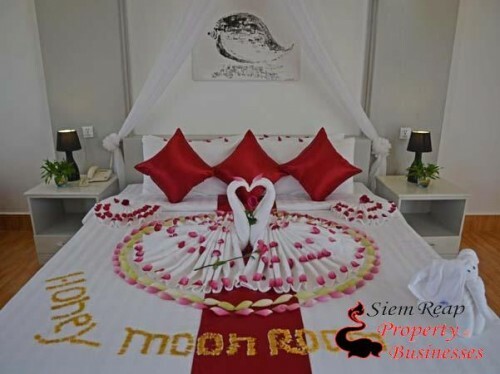 30 well furnished rooms, decorated in a simple and natural style, with 27 twin bed rooms and 3 single bed rooms. 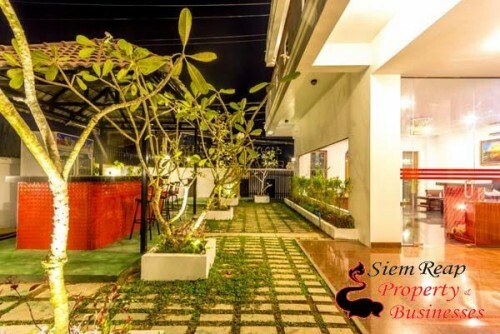 There is a restaurant located on 4th floor with beautiful views serving traditional Cambodian and international cuisine. Nicely landscaped swimming pool set up with sun beds for relaxation plus an outdoor bar which provide local and international drinks. Sale price is $1,500,000.